The competition will take place on December 11-16, 2018. 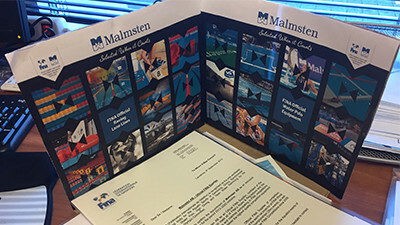 Our Malmsten Gold Racing Lanes are already delivered and our technical support will be on site as usual. Before the competition takes place, The 5th FINA World Aquatic Convention will also be hosted in Hangzhou. As Event Partner for this convention, preparations are in full effect! A glimpse of our stand. Eva-Marie, Tommy and Christian are looking forward to exhibiting Malmsten. Come visit us at booth A5, hope to see you there!